The hiking information board at the bus stop "Postamt Waldenbuch" is once again the point of departure for our hike. We go left along Tübinger Straße to the turnoff to Weil im Schönbuch. Follow the hiking sign with the red dot half-left, slightly downhill. This takes us along the Seitenbach stream, past the mill, in the direction of the Schützenhaus (hut). A road leads uphill to the left (hiking sign with blue cross) past 2 farms, curving to the right through the forest to a car park. 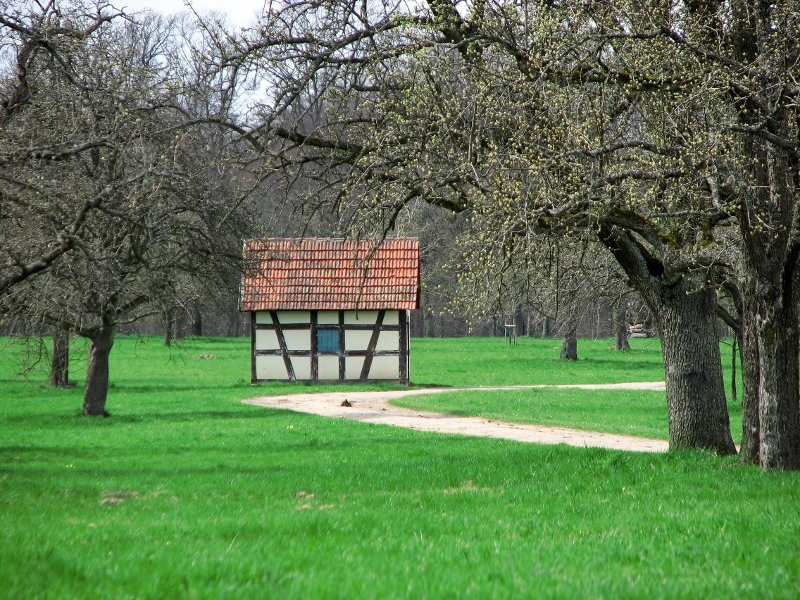 Opposite, a track leads through a large natural orchard (Braunacker) to the edge of the woods. Here you go to the right, following the blue U hiking sign until you reach the forest car park. Now turn left in a southerly direction, always slightly downhill. Go straight ahead over the first junction, and after a few hundred metres we pass under the high-voltage power line. Bear slightly right at the next fork, over the aisle for the Lake Constance water conduit, and after a wide, left-hand bend we arrive shortly afterwards in the Schaich Valley. We follow the course of the stream downwards on different sides as far as Neuenhaus (red dot, then blue dot, later blue stripe). From in front of the church (no signpost) our path goes for a short way along Kanalstraße, then immediately up Silcherstraße and straight ahead along the forestry trail. Later the hiking sign with the red dot appears. Within sight of the Burkhardtsmühle mill, which we see on our right, we switch trails to join the Federal Hiking Trail (Bundeswanderweg) cycle and footpath, which takes us past the community of Glashütte to Waldenbuch. 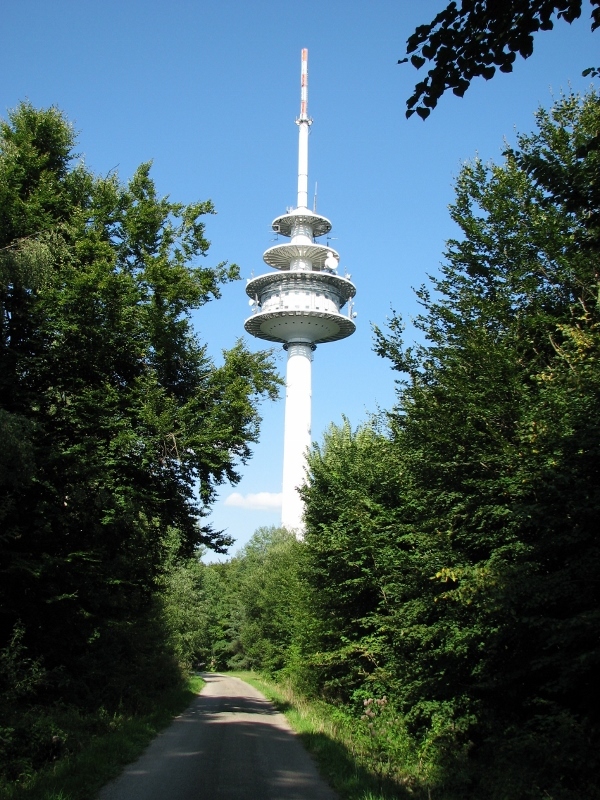 This hike was devised by Walter Nogger (a guide with the Schwäbischer Albverein e.V., Waldenbuch branch. Topographic map "Stuttgart“, page 12, scale 1:35.000, published by: Landesamt für Geoinformationen.